Ron Clark brings charisma, energy and devotion to the education profession. Ron pioneered innovative projects in rural North Carolina working with minority students in a low wealth area. His highly effective programs garnered national attention and led to a White House invitation to be honored by the President of the United States. 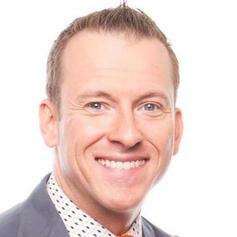 Ron Clark's personality is marked by a sense of challenge and adventure. Upon watching a television piece chronicling low test scores and the lack of teachers in inner-city New York, Ron packed his car and moved to Harlem. After being warned by the principal that his class was the least disciplined group she had seen in years, Ron prepared himself by visiting the home of each student before the first day of school. Ron Clark involved his students in projects in the city and state, and his "low achievers" soon began to excel; and by the end of the year, their scores were higher than the “gifted” classes in his district. In 2003, Ron Clark released the New York Times Bestselling book "The Essential 55" which includes his 55 expectations of students - as well as all individuals - young and old. Ron's second book, "The Excellent 11," was released in August 2004 and further captured the attention of parents, educators and students alike. Obviously Ron Clark did not stop there. In 2006, Ron Clark founded The Ron Clark Academy, an inner-city school serving students from across metro Atlanta. The privately-funded institution is unique for its innovative teaching methods and curriculum based on worldwide travel. Each year the students, grades 5 through 8, apply their in-class lessons to international adventures. And, by the time of graduation, each child will have visited six of the seven continents. Teachers from around the world visit the Academy to observe the innovative and "out-of-the-box" methods for achieving student success. Ron's most anticipated book came in 2011, "The End of Molasses Classes: Getting Our Kids Unstuck--101 Extraordinary Solutions for Parents and Teachers." This New York Times Best Seller brought to light 101 innovative and classroom-tested ways for improving America’s schools and leading our children to greatness. A must read for every teacher and parent. In addition to his many duties as an educator, Ron Clark is a much sought after keynote speaker. He shares the uncanny adventures he has had in the classroom and speaks of his experiences teaching in Harlem. Within his humorous and heartwarming stories, he delivers a message relevant to each of us. It is a message of hope, dedication and the never-say-never attitude required to achieve goals and dreams. 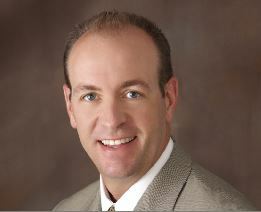 Dan Britton serves as the Fellowship of Christian Athletes’ Executive Vice President of International Ministry. He has been on FCA staff since 1991, first serving for thirteen years in Virginia. Dan oversees the ministry advancement of FCA internationally by reaching coaches and athletes around the world through training, resourcing, staffing, and partnerships. While at St. Stephens High School in Virginia and at the University of Delaware, Dan was a standout lacrosse player. He continued his career by playing professional indoor lacrosse for four years with the Baltimore Thunder, earning a spot on the All-Star team, and was nominated by his teammates for both the Service and Unsung Hero awards. He has coauthored four books, One Word That Will Change Your Life, WisdomWalks, True Competitor, and Called to Greatness; and he is the author and editor of twelve FCA books. 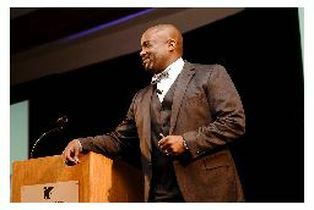 He is a frequent speaker for companies, nonprofits, sports teams, schools, and churches. 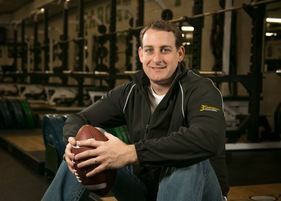 He still plays and coaches lacrosse and enjoys running, and has competed in the Boston Marathon twice. He is married to Dawn, whom he met in youth group in eighth grade, and they reside in Overland Park, Kansas, with their three children: Kallie, Abby, and Elijah. 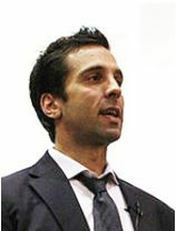 George Couros is the Division Principal of Innovative Teaching and Learning for Parkland School Division. 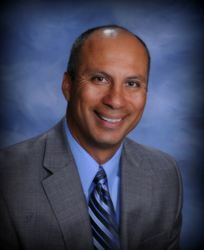 He has worked with all levels of school from K-12 as a teacher, technology facilitator, and school based administrator. He additionally co-facilitates Great Leaders, Great Teams, Great Results leadership training, is a leader on the effective use of social media to improve student learning. He is a sought after speaker on the topic of innovative student learning and engagement. 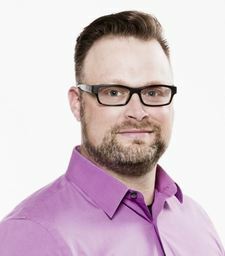 George is also the creator of the Connected Principals blog site as well as the founder of Connected Canada. His focus is to help organizations create optimal learning environments for innovation within schools. Although George is a leader in the area of innovation, his focus is always the development of leadership and people and what is best for kids. He uses humour as a way to connecting with all of those that he works with. His presentations are known to be both informative and entertaining, yet creating an emotional connection that helps people move to the next level. His mix of research, personal stories, and practical ways to implement new learning help participants feel comfortable in taking risks in their own learning. Ben Glenn has been a full-time speaker since 1995, sharing with church groups, students and teachers all over the world. His story of growing up with Learning Disabilities and ADHD, as well as his amazing live art demonstration that he performs as part of his presentation, combine into a powerful as well as entertaining program. He is the author of "SImply Special: Learning to Love Your ADHD" and "Understanding the Peaks and Pitfalls of ADHD in the Classroom." He, his wife and 2 daughters live in Indianapolis. Ben Glenn was diagnosed with Dyslexia and other Learning Disabilities in grade school. About 10 years ago, he also learned that he has ADD. Ever since his ADD diagnosis, he's been on a personal quest to learn as much as possible about it. What he's learned has completely changed the way he views himself, ADHD and other learning disabilities. Wes Simmons is a certified 3Dimensional Coaching presenter who has delivered workshops to thousands of coaches at every level of sport. From youth sports clubs to college athletic departments, from local school districts to National conventions, from Florida to California, Wes has captured audiences with the 3Dimensional Coaching content while sharing his personal experience of both playing for, and coaching with, a 3D coach. Wes played college football at Northwest Missouri State University where he started on back-to-back NCAA DII National Championship teams. Upon graduation, he began his coaching career at Northwest while completing his Master’s degree in Athletic Administration. Since that time, his career has shifted from on-field coaching to coaching both athletes and coaches in all areas of life. Along with presenting 3Dimensional Coaching workshops/clinics, Wes serves as an adjunct lecturer at NWMSU where he teaches the 3D Coaching course. He also regularly conducts “Guiding the College-Bound Athlete” seminars for parents, athletes, coaches and counselors across the country. In addition to his speaking schedule, Wes serves as the 3D Training Director for FCA. He resides in St. Joseph, MO, where he lives with his wife Amy and their 4 children. Salome Thomas-El was born and raised in the inner city of Philadelphia. He has been a teacher in the Philadelphia School District since 1987. He received national acclaim as a teacher and chess coach at Vaux Middle School, where his students have gone on to win world recognition as Eight-Time National Chess Champions. Armed with only a chess board and a profound belief in their potential, Thomas-EL's faith and commitment has motivated hundreds of children in Philadelphia to attend magnet high schools, major colleges and universities. He is a doctoral student and has studied in Cambridge and London, England. He has received an Honorary Doctorate of Humane Letters from Ursinus College in Pennsylvania, the Marcus A. Foster Award as the outstanding School District Administrator in Philadelphia and the University of Pennsylvania's distinguished, Martin Luther King Award. Mr. Thomas-EL frequently appears on "The O'Reilly Factor", C-SPAN, The Tavis Smiley Show, CNN and NPR Radio. His students were featured in Reader's Digest, Education Week, NEA Today and Black Enterprise Magazine. Salome Thomas-EL is married and lives in Philadelphia with his wife and two young daughters. 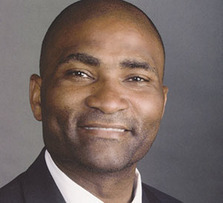 He is the former Principal of John F. Reynolds Elementary School in North Philadelphia and the author of the best-selling book, "I Choose to Stay", released in hardcover in March 2003 by Kensington Publishing. The Walt Disney Company recently purchased the movie rights to "I Choose to Stay". His second book, "The Immortality of Influence", was published in May 2006. This book stresses the importance of parenting, mentoring and service to others. Currently, Thomas-EL is principal at Russell Byers Public Charter School in Philadelphia and coordinates after-school chess programs in the School District. Mr. Thomas-EL has continued his life-inspiring chess, reading, breakfast and Saturday morning tutoring programs at Vaux and Reynolds. As part of his commitment to opening the world up to show his students that there are other ways to be than those to which they have been exposed, Thomas-EL takes them to visit colleges and then attends their graduations. Reflecting on how it feels to see a young person he has mentored walk down the aisle toward a real future instead of to an early grave, Thomas-EL has said: "I've been to too many funerals; I need to go to more graduations." Lonnie is passionate about teaching the principles of effectiveness to individuals, schools, and organizations. His background in teaching and education thought leadership made him a natural choice to act as one of the subject matter experts in the development of the Leader in Me school curriculum based on the best-selling book The Leader in Me written by Dr. Stephen R. Covey. This program helps students develop the essential life skills and char-acteristics they need in order to thrive in the 21st century. Lonnie not only teaches the program in schools nationwide, he also certifies other FranklinCovey consultants and client consultants in the curriculum. He is also an author himself and has written two books on education, The High-Trust Classroom, and The Inspirational Teacher. In addition to his expertise in education, Lonnie has also contributed to sales, marketing, content development, and organizational consult-ing in his ten years at FranklinCovey and is certified to teach most of FranklinCovey’s programs including the 7 Habits, FoCuS, and Trust programs. Jill Scheulen currently serves as a coach and senior consultant for FranklinCovey. She spent 13 yearsin the Rockwood School District, where she taught for 5 years and served as the principal for 9 years at Crestview Middle School. Prior to her time in St. Louis, she taught high school in an urban district in Kansas City. Jill has an extensive background in educational leadership. She has served for 19 years on the selection committee for the most elite student-leadership and service program/award for students across the country—the Wendy’s High School Heisman Award. She has also spent 13 years as an instructional leader of professional learning communities. 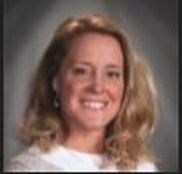 During her time as a teacher, she also coached varsity softball, basketball, and track and field. Jill received the educational Advocate of the Year award for St. Louis, Missouri, in 2012. She is a graduate of the University of Missouri, Columbia, where she earned her B.S. in business and marketing education. She obtained her master’s degree in educational administration from Lindenwood University and her doctorate in educational leadership from Maryville University. Jill is married to Tom and has four children. She and her family love playing basketball, golf, football, baseball, and nearly any sport they can enjoy together. Anne is a curriculum and assessment specialist focusing on the effective measurement and monitoring of student growth and learning in school districts. She is passionate about quality professional development and resources for all educators, and as a result, founded Kids At The Core. Anne’s love of teaching began in the Southwest side of Chicago as a teacher and then a building administrator. Her experience as a central office administrator in Northern Illinois and experience as a practicing scientist prior to entering the education field, give her a unique combination of experiences to design targeted professional development in the areas of data analysis, assessment, curriculum, grading and instruction. Under her leadership, teachers K-12 have grown as professional learning communities (PLCs) for powerful work including quality assessment design, standards based report cards, skill based unit design, measuring student learning and growth, and more. She has been a writer for national benchmark assessment systems and led assessment professional development throughout the country. Anne received dual BS degrees from Northwestern University in Molecular – Cellular Biology and Radio – Television – Film. After several years in education, Anne received the Golden Apple Fellowship and earned her M.Ed. in Education and Social Policy from Northwestern University. She earned her second masters in Educational Leadership from National Lewis University. Under her leadership, teachers K-12 have grown as professional learning communities (PLCs) for powerful work including standards based report cards, creating local assessment sets aligned to Common Core Standards, and measuring student learning and growth. She been a writer for national benchmark assessment systems and led assessment professional development. 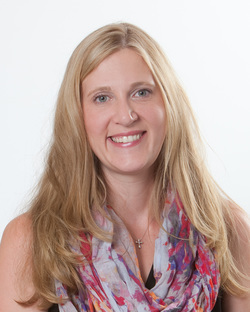 Previously,Anne worked at the Director of Curriculum and Assessment in a Northern Illinois School District. She has experience as a director of curriculum, school improvement assessment specialist, a high school administrator, department chair and a classroom teacher. Our work to the how of our work, Known for his powerful and engaging combination of ‘heart, humor, and hammer,’ Ken is an expert at helping schools build capacity in the collective commitments required of learning for all cultures. He is a distinguished teacher, mentor, public speaker, and school leader. Ken is the author of two books. His latest offering with Tom Hierck; Starting A Movement, Building Culture From The Inside-Out in PLC’s.